Nobel Prize in Economics Q&A: Why Jean Tirole? 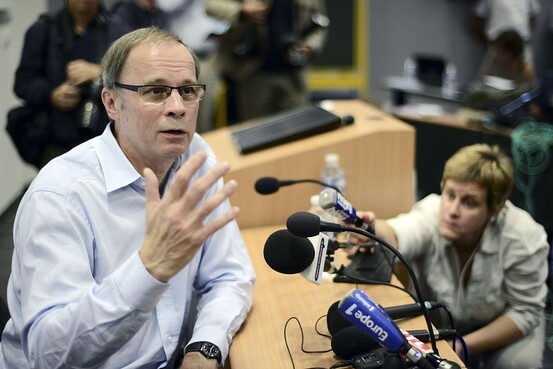 French economist Jean Tirole, laureate of the 2014 Nobel Prize in economics, speaks during a press conference at the Toulouse School of Economics on Oct. 13, 2014, in Toulouse. WSJ: Could you say something about the significance of Jean Tirole’s research? TP: The research deals with a very important phenomenon, namely markets with powerful firms. We all know that such markets are more common than the “perfect competition paradigm” that economics had usually dealt with. The problem is that understanding how such markets work is difficult because it is a strategic situation where firms play games with each other and with the regulation authority. The second thing is if we are to regulate these firms, we in society, the regulator, don’t really know details about the cost situation under which the firms are working, what opportunities they have to lower costs and improve quality. Regulation has to be conducted under what we call asymmetric information. [i.e the company knows more than the regulator]. These two things: understanding how oligopolies work and regulating under asymmetric information are first order [issues] in getting these markets to work. WSJ: What was the state of play before Tirole? TP: By the early to mid 1980s there wasn’t really any analysis that could be brought to bear. People that were working on this were looking for a single tool that would apply across markets. They wanted a screwdriver that would work across all market environments. What Tirole and his co-authors have taught us is that you need a whole tool kit. You need a screwdriver, you need tongs, you need a hammer, you need all kinds of tools because each market needs to be regulated in its own way. Tirole has also given us the instruction manual for how to think about when the screwdriver, the hammer or the tongs should be applied. Game theory and contract theory were ready to be used by the early 1980s and this wave of deregulation and privatization had happened in mid to late 1980s. So supply meets demand and great research comes forward. WSJ: Can you give an example of that instruction manual being used? TP: One of the previous rules of thumb was that competition authorities should worry about collaboration between firms in the same market over prices. Whereas they shouldn’t worry at all about collaboration taking place in a vertical product chain, so for example a firm making a fusion with its distributor or making an exclusivity agreement. Tirole has proved that both these points of view can be potentially wrong. Nobel Prize in Economics: Who Is Jean Tirole? Grand Central: Hayek’s Worthy Question — Is Economics Science? Who’s Going to Win the 2014 Nobel Prize in Economics?